In current times, the phrase “little green men” brings to mind alien beings from outer space, reminiscent of the hype surrounding flying saucers during the turn of the 20th Century. The earliest linking of this phrase with extra-terrestrials can be traced to an article about a little green-skinned alien published in October 1899 by the Atlanta Constitution. Concisely titled “Green Boy From Harrah”, it is a fascinating tale about a green humanoid and its planet of origin “Harrah“, which to date is highly speculated to be the Planet Mars. 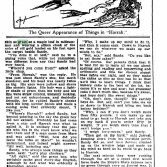 However, the first use of “little green man” as a specific descriptor of green aliens was in a 1908 article by the Daily Kennebec Journal (Augusta, Maine) which also insinuated that the aliens hailed from Mars. Unknown to most, long before this phrase gained popularity as a stereotypical reference to extra-terrestrials, “little green men” was more famously associated with two green-skinned young siblings who appeared out of the blue in the village of Woolpit, Suffolk in England around the 12th Century. One can imagine the commotion triggered by the duo when they were found in one of the many wolf-pits set up by the 12th Century villagers of Woolpit. 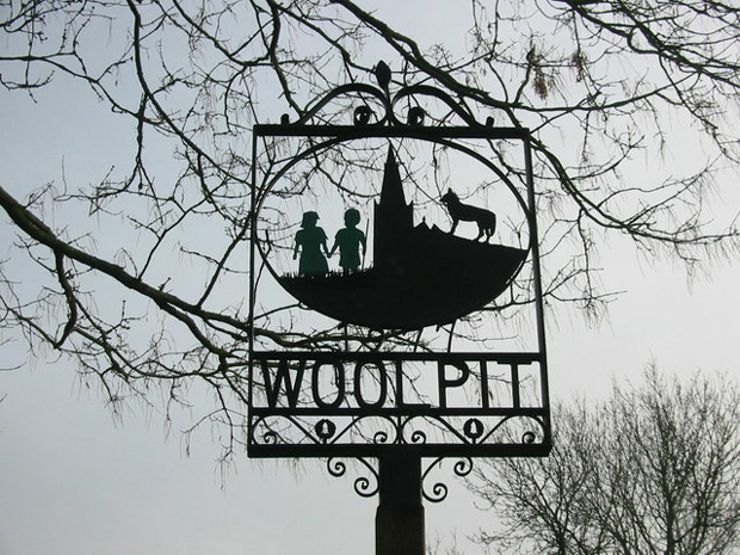 In fact, the village of Woolpit is said to have obtained its name from repeatedly distorting the pronunciation of the many wolf-pits surrounding Woolpit village. Back in those days, wolf-pits were a common first line of defence against wildlife roaming the forests of rural England, particularly wolves. Although there are other possible origins of “Woolpit” — homage to an early owner named Ulf, a reference to the prosperous medieval wool trade in that area, or even an allegation of ancient Roman origins — such assertions paled in comparison. Apart from history buffs, most would respond with the prevalent wolf-pit theory when asked about the origins of the village’s name. Regardless, a brother and sister with skin as green as the strange clothes they wore was the last thing the villagers expected to see in the pits meant to trap wild beasts. The exact timing of the green children’s unheralded appearance is difficult to pinpoint, but based on written historical sources, the incident took place sometime during the reign of King Stephen who was enthroned in 1135. It was a tumultuous period due to the power struggle for the throne between King Stephen and Matilda, the daughter of the previous King of England, King Henry I, who reigned from 1100 to 1135. 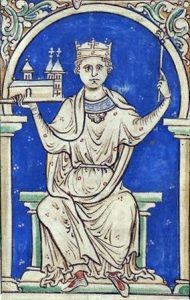 In short, despite promising allegiance and support to Matilda who had a stronger claim to the throne, King Stephen reneged on the deal and succumbed to the temptation of power after his brother, the Bishop of Winchester, dangled the crown before him. 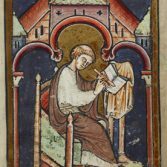 As King Stephen’s hands were full with fighting over the throne and dealing with the political turmoil within his court, there was no central power really keeping the barons in check. As such, the landowners more or less had autonomous free rein over their lands. 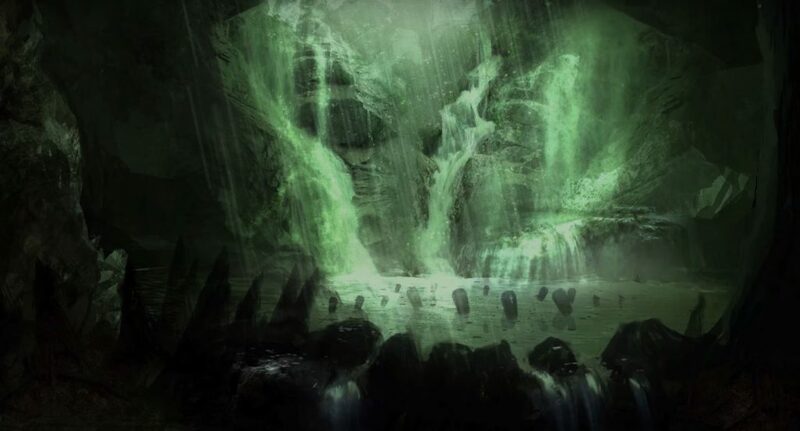 It is widely believed that is why the green children were not presented to powers beyond the local baron or landowner, despite the magnitude of the discovery. 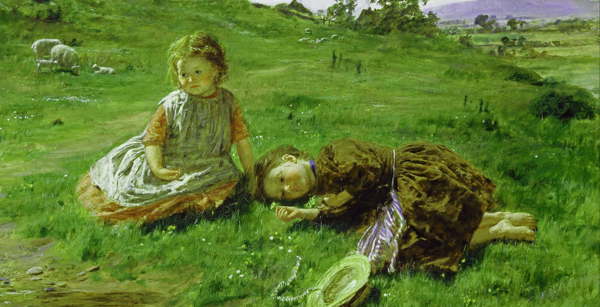 Many of the details surrounding the green children of Woolpit are derived from the notations of Ralph of Coggeshall, the 6th Abbot of Coggeshall Abbey in Chronicon Anglicanum and by William of Newburgh, an English historian and canon at the Augustinian Newburgh Priory in Historia Rerum Anglicarum. However, even these two earliest records about the green children of Woolpit were only documented approximately forty odd years after the incident took place. Although both chroniclers were likely to have been alive at the time, neither personally witnessed the event or saw the physical evidence. Instead, they both relied heavily on other eyewitness accounts for their notations. Their reports are quite similar but emphasise different details. One fine day around harvest time in the 12th Century, a young boy and girl were found in one of the wolf-pits surrounding the village of Woolpit. Both children were siblings and the girl was the elder of the two. In addition to their skin being green, they also had green eyes. The two children were found dressed in a style uncommon for the 12th Century. Additionally, their clothes were made from strange foreign materials, nothing the villagers had ever seen before. Both children were frightened and were unable to comprehend the prevalent language of that time and place. They conversed with each other in an unknown language. They were both malnourished but initially, despite their obvious hunger, would not consume any food save for raw green beans. It was only much later that they were able to partake of more common food. The two siblings gradually lost their greenish complexion and their skin took on a more normal hue. The girl eventually learnt enough English to speak of her homeland, a green forestry world with sparing sunlight and constant twilight. She also revealed that neither sibling had any idea how they ended up in Woolpit. The younger boy sickened and died young whilst his sister adapted well to her new life. She was baptised and worked for a while before eventually getting married. Unlike her brother, she lived a long life. The name of their homeland: The girl claimed that her brother and herself were originally inhabitants of the land of St Martin. The existence of Christianity in St Martin: According to William’s notations, the girl stated that all the people of St Martin were Christians and they had many churches. The conflicting identity of the girl’s husband: Although it is mentioned that the girl took on the name “Agnes Barre” and got married, two prominent English translations of Historia Rerum Anglicarum yielded two candidates as her spouse. One indicated that she married a man from Lenna and another reflected that she married a man at Lynne. The identity of the local landowner: Not knowing what else to do with their strange discovery, the villagers brought the green siblings to the home of Sir Richard de Calne. It was at his house that the green children chanced upon raw green beans which sustained them for quite a while until they adjusted to the regular food of the time. He also recorded that the pair were overwhelmed by the excessive sunlight and the temperature of the air upon exiting the mouth of the cavern. He further documented the children’s failed attempts to locate the cavern in order to return home prior to being discovered by the villagers. 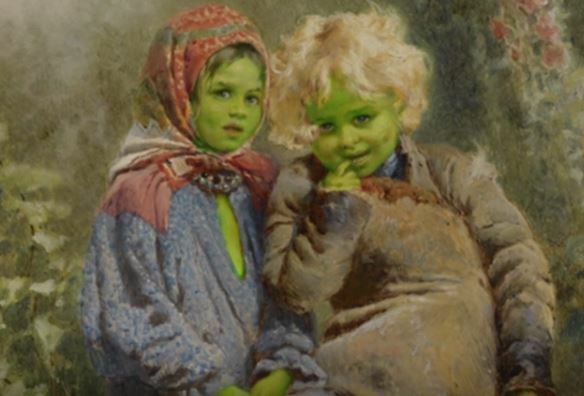 Unsurprisingly, many explanations and theories have sprung up over the years to shed light on the sudden appearance of the green children of Woolpit. From radical theories of other dimensions to more conventional reasonings, below are a few which still continue to capture the imagination of many curious minds. The girl’s ethereal-like description of her homeland and their initial diet of just raw green beans, then commonly recognised as the food of the dead, spawned the idea that the green children were some sort of fairy folk from the subterranean world. Based on the accounts by both chroniclers, the events described matched well with ideas regarding fairies that were common in England back then. At that time, people were not only receptive to possible encounters with human-like fairies but also to the meeting of these two different realms. 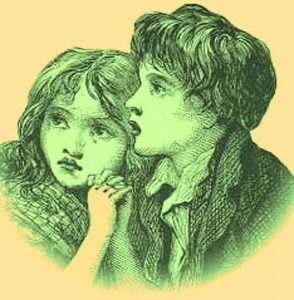 As such, the green siblings of Woolpit were thought of as being fairy children who became trapped in the human world. 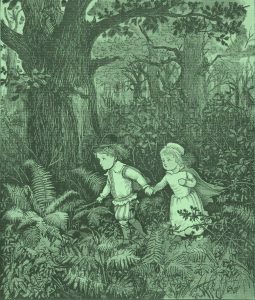 To date, there are some who still view the green children of Woolpit as personifications of nature, similar to the likes of the Green Man or Jack-in-the-Green of English folklore. A more prosaic explanation suggests that the children were normal kids suffering from Hypochromic Anemia, originally known as Chlorosis (coming from the Greek word ‘Chloris’, meaning greenish-yellow). This condition is caused by inadequate nutrition which affects the colour of the red blood cells, resulting in a very distinctive green tinge on the skin. This theory has the strongest following in light of the malnourished state in which the children were initially found, and the subsequent fading of the greenish hue after their change in diet. ‘The Babes in the Wood’ by Randolph Caldecott, 1887. 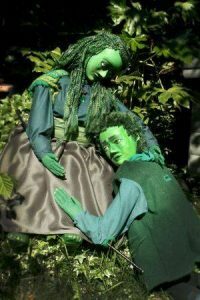 The green children of Woolpit are associated with the Babes in the Wood, poisoned with arsenic and left to die in the forest. The details given by the green children attesting to possible otherworldly origins are rationalised as mistaken disorientation or confused memories of the incident due to shock, hunger or malnourishment. The only unreconciled issue with this theory is why the children reacted so strangely to normal food that even in their hunger, they refused to eat anything except raw green beans. Another theory suggests that their greenish skin was the result of arsenic poisoning. This theory is founded on the basis that the green children were probably orphaned heirs to some wealth and were poisoned with arsenic by unscrupulous guardians and left to die in the forest. 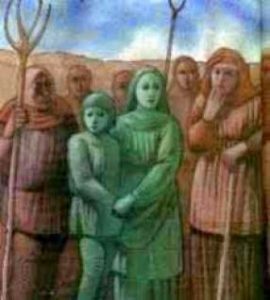 Expanding on the medical condition theory that is chlorosis, Paul Harris wrote in Fortean Studies (4) (1998) of his speculation that the green children were Flemish orphans, possibly from a nearby place known as Fornham St. Martin, which was separated from Woolpit by the River Lark. 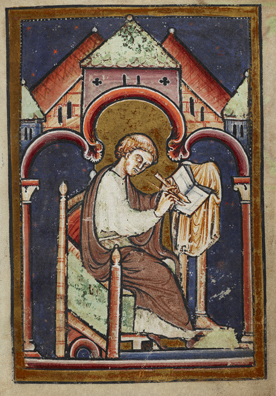 He drew support from the historical persecution of Flemish immigrants during the reign of King Henry II where many were killed near Bury St. Edmunds. 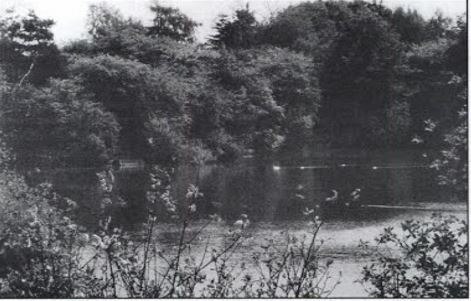 He further hypothesised that if the children had fled into Thetford Forest, it may have seemed like permanent twilight to the frightened siblings and it was their entry into one of the many underground mine passages in that area which finally led them to Woolpit. He also rationalised that their strange garments and language were actually the distinct Flemish clothing and dialect. However, this theory requires a significant shift in the timelines stated in the two earliest written records on the green children of Woolpit. It is also quite hard to reconcile geographically. In addition to the absence of records of any underground passages connecting Thetford Forest and Woolpit, documents reflect that the flint mines were mainly confined to the area of Thetford Forest. 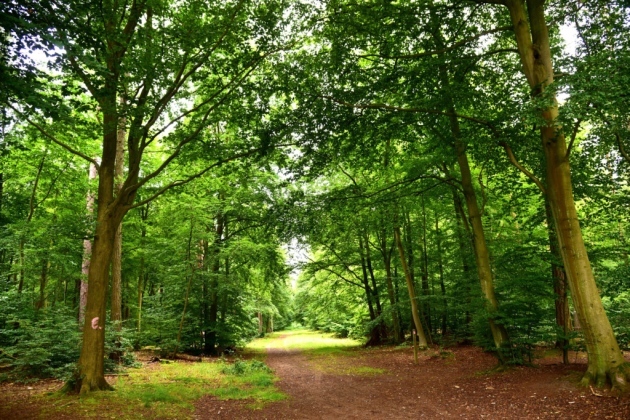 Moreover, Thetford Forest is almost 50 kilometres from Woolpit and it would have been nearly impossible for two malnourished children to cover that distance successfully on foot, given the harsh conditions of that era, even if there were underground passages. Furthermore, many find it quite difficult to believe that not a single villager, including Sir Richard de Calne who was well-educated and had travelled extensively, had ever seen Flemish clothing or heard the distinct Flemish dialect, especially considering the huge influx of Flemish immigrants at that time. Some detractors have even ventured that it was implausible for the Flemish to have immigrated with their families on the basis that historically, the Flemish who were persecuted during King Henry II’s reign were not so much immigrants but rather mercenaries who were paid to fight the King. This was further expounded by Francis Godwin, the Bishop of Hereford and also a historian, in his speculative fiction “The Man in the Moone” which was published posthumously in 1638. However, credit for the most elaborate theory involving the green siblings and extra-terrestrials goes to astronomer Duncan Lunan. In his book “Children of the Sky” published in 2012, he hypothesised that the children were part of an extra-terrestrial settlement experiment. In short, Duncan Lunan ventured that the green children were accidentally expelled from their home planet and beamed to Woolpit following a technical “matter transmitter” malfunction. In line with his extra-terrestrial settlement experiment theory, he further pinpointed the genetically modified alien plants which served as a food source for the planet’s inhabitants as the cause for the children’s greenish complexion. This theory stems from the fact that social and psychological historians have observed increased reports of weird, extraordinary or inexplicable events during times of uncertainty and when there is a weak central powerhouse. These patterns are symptomatic of the helplessness felt by the citizens due to threats of war or exploitation arising from weak central governance. Hence, such bizarre reports might be fuelled by medieval social anxiety rather than factual grounding. 1965: Book titled “Strange Destines” adapted by John Macklin. 1978: Book titled “Slice of Suffolk” adapted by Bob Roberts. 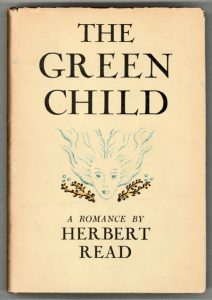 1980: Book titled “The Girl Green as Elderflower” adapted by Randolph Stow. 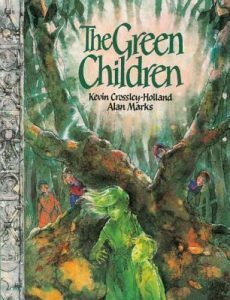 1994: Book titled “The Green Children” by Kevin Crossley-Holland and Alan Marks. In fact, they were so popular that they even triggered a Spanish knock-off. 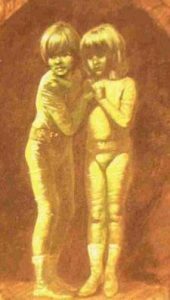 In 1887, claims that two green-skinned children speaking an unknown language and dressed in an unidentified material had suddenly appeared in the village of Banjos in Catalonia, Spain, garnered quite a lot of attention. However, these claims were subsequently debunked primarily because upon investigation, there was no evidence that the village of Banjos had ever existed in Spain. 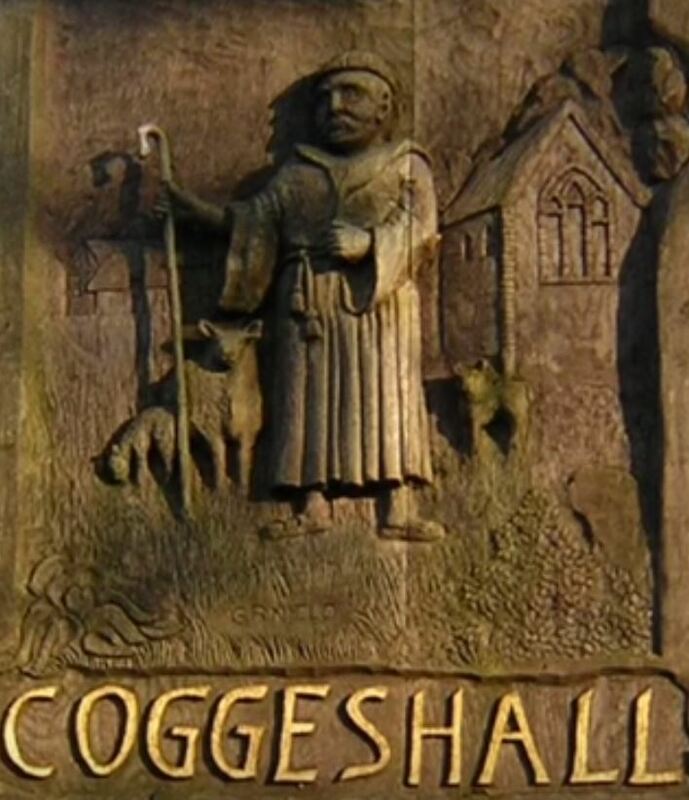 In addition, there were just too many similarities in the details, bordering on duplication, with the medieval legend of the green children of Woolpit as recorded by Ralph of Coggeshall and William of Newburgh. Regardless of whether the green children of Woolpit are a part of cultural folklore, a testament to the existence of extra-terrestrial beings or a sensationalised version of an actual occurrence, they continue to mystify people over the centuries. 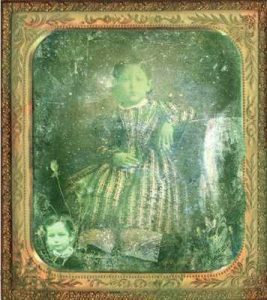 In fact, many have attempted to track down Agnes Barre’s descendants, if any, to conclusively ascertain if the green children really ever lived. However, any descendants have evaded discovery thus far. In this regard, there is strong speculation that the current Earl Ferrars is descended from Agnes Barre, as the de Ferrars family comes from a line that intermarried with a branch of the Devereux family. This branch of the Devereux family included Anne Barre (the daughter of Sir John Barre) by virtue of her marriage to Sir William Devereux in 1351. That being said, there is also conflicting evidence to suggest that Agnes Barre might not have gotten married after all. Records giving specific clues as to the identity of Agnes Barre’s spouse vaguely state that she married a senior ambassador to King Henry II. Based on the timeline, the only traceable senior ambassador bearing the Barre name was Richard Barre, who was chancellor to King Henry II, archdeacon of Ely and a royal justice. Taking into account that Richard Barre retired around 1202 to become an Austin canon at Leicester, it is highly unlikely that he could have married Agnes Barre. From the look of things, the green children of Woolpit are likely to remain an intriguing enigma for a very long time, if not forever. Thank you Cindy for shsring. Is interesting and there are mystical cases that are unexplainable. This article is very interesting. I do believe the existence of the Green Children, because it’s recorded in the history. It is interesting for there is such a being looked like human and green in colour, I had only seen creatures in blue colour in “Avatar” and “The Smurfs”only. Green Children, is not something one will miss for sure. Its a shame we will never really know who were these children and where they came from, but this is a very interesting story. Thank you Cindy. Great research of paranormal activity back in the 12th century. Thank you Rinpoche and Cindy for sharing the “Green Children of Woolpit Case”. Weird , sound interesting of these two strange children were found near the village of Woolpit, England in the 12th century. There were many stories, legends, folklores behind these two children of unusual skin colour . Some even thought of whether they are aliens and so forth. The children, brother and sister, were of generally normal appearance except for the green and spoke an unknown language. They were sported in strange clothing, and only ate raw beans. Strange …….no one knows where they are from. Many historians and ethnologists thought the strange tale to be a product of the rich imagination of English. Till now the mystery is still unanswered . Despite all these, the green children of Woolpit has inspired many writers across the world to write literature books . Thank you Rinpoche and Cindy Hew for this interesting sharing. Unsolved intrigues, mysteries, folk lore and interesting occurrences in the past have always brought theories of speculation on “WHAT HAPPENED?” and “WHAT DID IT MEAN”. With the progress of time and the thoughts of the people then existing in different times and eras, their thoughts are very well explained in this article which recalls an occurrence in the 12 century BC about a couple of Green Siblings. 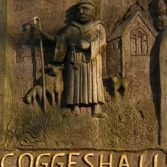 In this article there are historical information of Woolpit, England, theories about the Green Siblings both medical and cultural through time of 12th century to this day. Mysteries and unexplained events of the world are of paramount interest to most people and thank you, H.E the 25th Tsem Rinpoche and Cindy for this piece of history.